New poll numbers this fall's Maryland Gubernatorial Race show Republican Governor Larry Hogan leading Democrat Ben Jealous by a sizeable margin. According to the Gonzales Maryland Poll , the incumbent Hogan would defeat his challenger by 16 percentage points if the election were held today. Governor Hogan has 52% support statewide compared to Jealous' 36%. 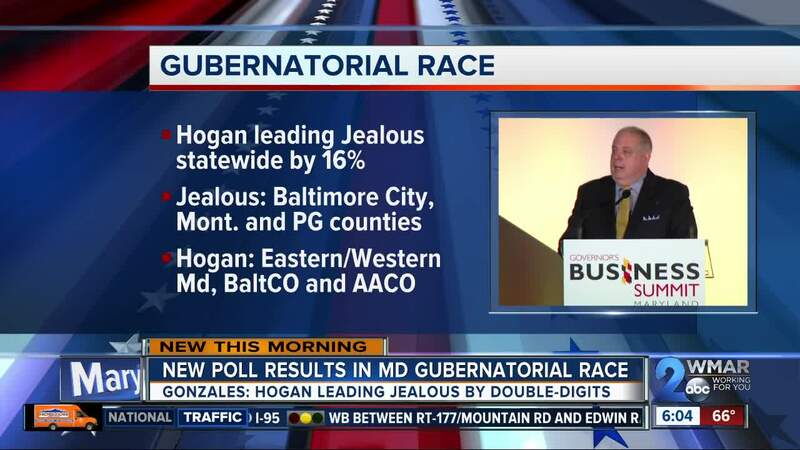 In Western and Eastern Maryland, Hogan is polling strong with 71% in Western Maryland and 72% on the Eastern Shore. Hogan is polling at 61% in Anne Arundel County and 63% in Baltimore County. Jealous is polling six points higher in Baltimore City at 44%. He's also polling better in Montgomery County at 60% and 46% in Prince George's County. 64% of the people surveyed gave a favorable rating to Hogan, while 19% gave him an unfavorable rating. As for Jealous, he only received a favorable rating from 31% of participants and a 33% unfavorable rating. "For the Ben Jealous campaign, I'd say the burden is on your opponent, ultimately. And if I had to give some advice to the Hogan campaign, it would be to take nothing for granted. This election, quite frankly, you are in a very -- you, the Hogan camp, are in a very, very good position. Don't assume anything," Patrick Gonzales, the head researcher behind the poll, said. 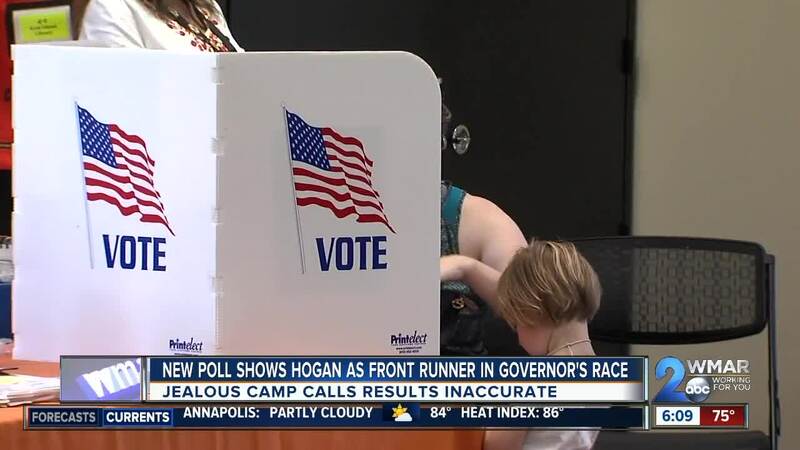 "This poll emphasizes that under Governor Hogan's leadership, the overwhelming majority of Marylanders are confident that our state is headed in the right direction. This poll also shows that the more people come to understand Ben Jealous' plan to dramatically raise taxes on every man, woman, and child in Maryland, the less they like him." WMAR also received a statement from the Jealous campaign. "Based on past precedent, these poorly designed public polls have never accurately predicted or captured the mood of Marylanders as we saw from the primary" Harris said. "The truth is this is a competitive race which is why Republicans have spent more than a million dollars lying about Ben's record. We will continue building a robust field operation to mobilize Democrats to the polls around Ben's vision for fully funding education, providing relief to skyrocketing healthcare and prescription drug costs, and creating good paying jobs for Marylanders."